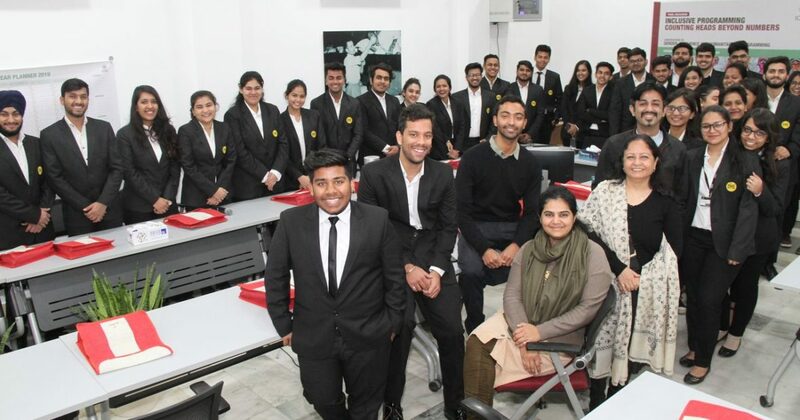 The visit of over 30 undergraduate students on 24 January from Delhi Metropolitan Education (DME) caused quite a stir at the ICRC regional delegation. Usually, the resource centre is a place for quiet contemplation for researchers working on various aspects of International Humanitarian Law (IHL), but on Thursday, the place was full of curious and eager faces. 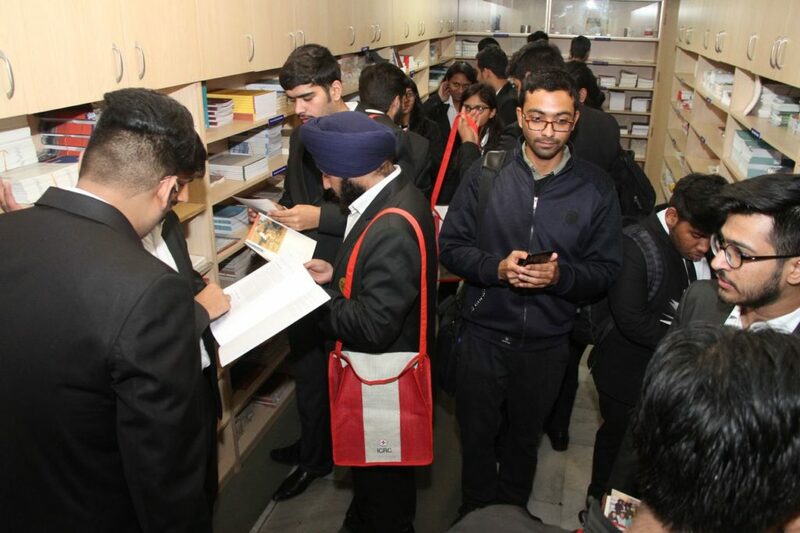 The ICRC resource centre in Delhi houses the best curated collection of books on International Humanitarian Law (IHL) and ICRC publications in India. 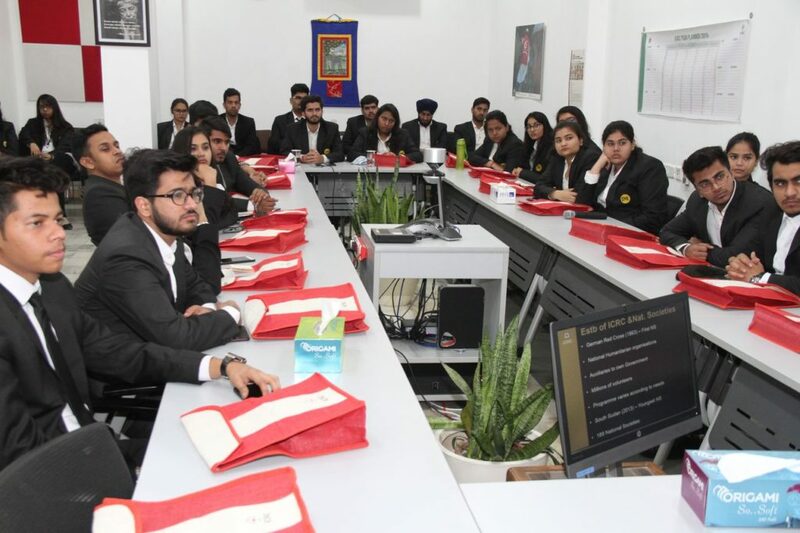 The communications department undertook a session on ICRC role and mandate for the students. It focussed on introducing them to the seven principles of the Red Cross and Red Crescent (RCRC) Movement and explaining the length and breadth of ICRC’s activities aimed at helping those in need during times of emergency. This was further explained with the help of two short ICRC movies, Story of an idea and Panorama. During the question and answer session, students enquired about the universal acceptability of the Red Cross emblem and the perils of being a neutral organisation. The session benefitted from anecdotes of Red Cross colleagues from around the world. This was the second interaction between the ICRC and DME. In 2017, the regional delegation donated an IHL standard library to the institution. For the ICRC, partnerships with academic institutions are important in its efforts to foster an understanding and respect for the Red Cross Movement. In times of peace, such engagement gives ICRC the opportunity to reach out to the next generation of lawyers, humanitarian workers, diplomats and other actors of influence.